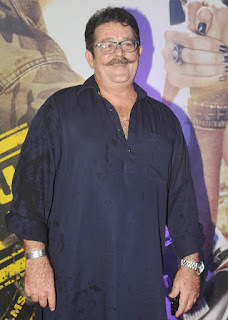 Shashi Kapoor's Son Kunal Kapoor is all set to return as an actor in Akshay Kumar's Upcoming comedy film Singh is Bling, which is a sequal to Singh is King. Kunal Started his Career as an Actor in 1972 with Siddhartha, He is well known for his films Vijeta & Trikal. But in 1987, he got interested in direction and production so he set up his own company, Adfilm-Valas, and started producing and directing television commercials. Now, He is coming back with Singh is Bling, in this movie Kunal will be seen playing role of Amy Jackson's Father, who resides in Europe. Kunal refused to give details on his role but hear that he will be playing a dashing and doting father to Amy. Though Kunal Kapoor had no plans to act in a Bollywood film, it was producer Ashvini Yardi who managed to convince him. Kriti Sanon to Feature in Sultan? Why Emraan Hashmi Dies in Every Other Movie? ABCD 2 did extraordinary business on 1st Day! 10 Most Expensive Movie Sets Ever Made! Bajrangi Bhaijaan Official Trailer Unveiled! Welcome Back Releasing this 21st August!